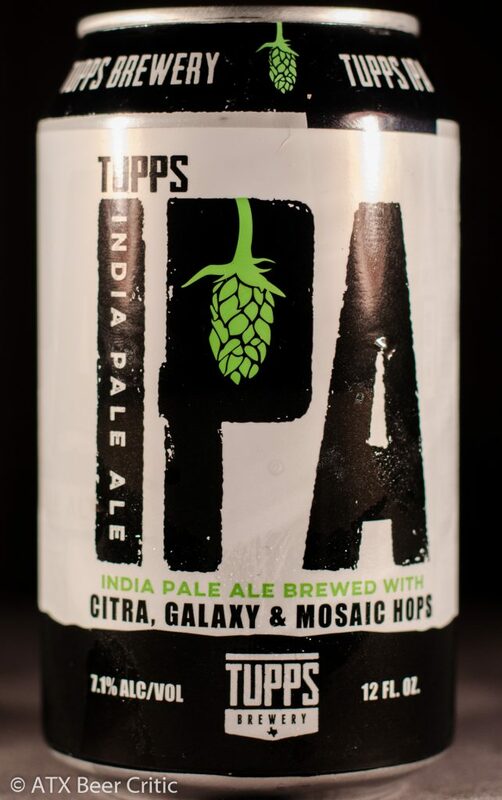 India Pale Ale brewed with Citra, Galaxy and Mosaic Hops. Bursting with tropical aromas, this IPA is loaded with citrus and fruit-forward hops. High intensity orange citrus, pineapple, and mango hits the nose first. There’s a good level of dank, resinous hop character present as well. A low level of sweetness is present, with a similar level grainy, doughy character. Pours a deep gold, light amber liquid. Tons of head. Fine and small ivory bubbles compose a long lasting thick layer. A nice lacing sticks to the glass as its drank. Clarity is decent with a slight haze, maybe from dry hopping. Pouring the bottom of the can, brings a lot of sediment with it. Citrus and tropical fruits hit the tongue first at a high intensity. Some papaya and maybe guava character comes out. A more grassy and resin character peaks through at a medium level next. This is quickly joined by a moderate high bitterness, which lasts through the taste and lingers on the finish. There’s a slight grainy malt character with a low medium malty sweetness as well. Some of the citrus character lingers on the finish, along with a prickling bitterness on the tongue. Balance is massively hop forward. Medium bodied throughout the taste. Carbonation is moderately high. Some alcohol warming is present on the finish, lingering in the throat for a second. A low astringency is present. A great IPA! I’m really enjoying the hop combination used in this beer. There is a little room to clean up some astringency and a bitterness that lingers just a touch too long. 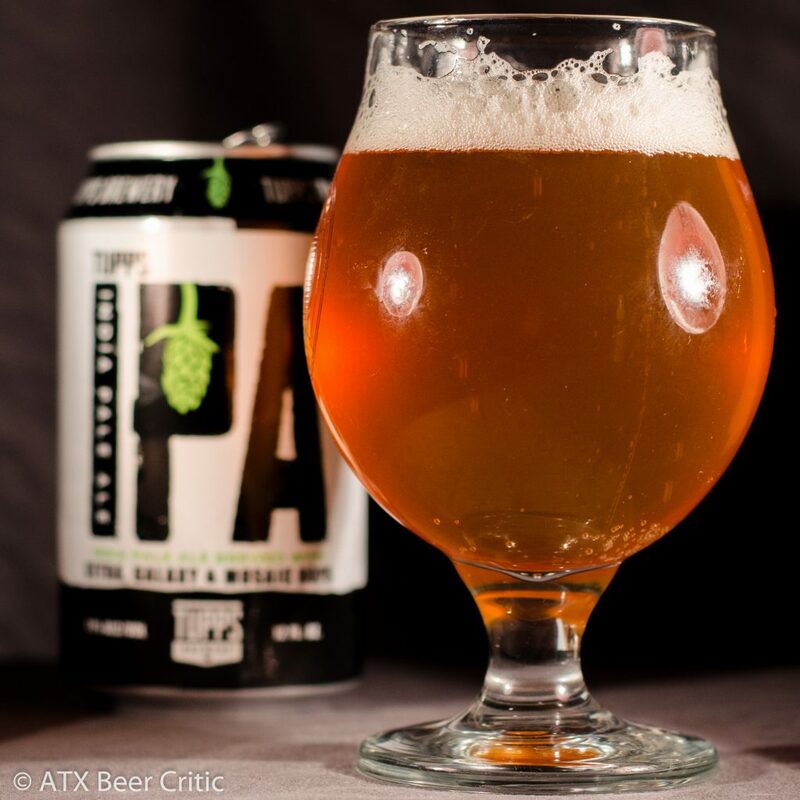 That and a little more brightness to the hop profile would push this beer to world-class. This is my first time having a hop-forward beer from Tupps and I’m impressed. They have a unique 6-in-a-row 6-pack that stands out on the shelf. It’s definitely a beer worth trying if you haven’t yet. While it doesn’t necessarily do anything new in the IPA realm, it’s a well executed west coast style, with a softer mouthfeel and restrained bitterness. I’ll be looking forward to trying their DDH IPA soon.